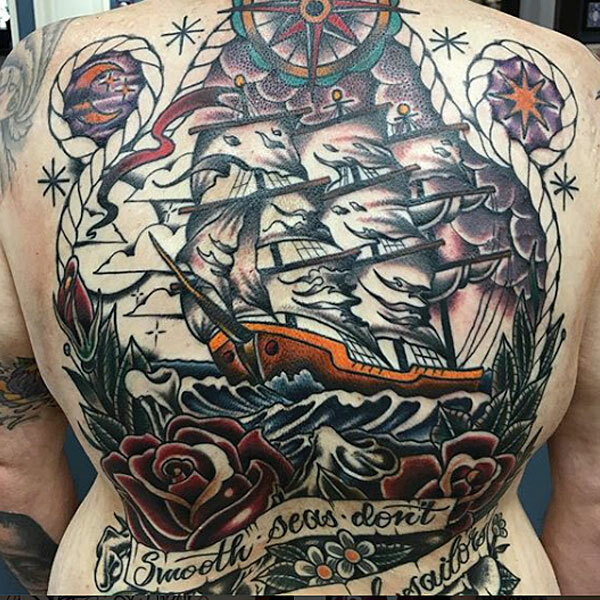 Established in 2015 by Earl Funk and Steve Roberts, The East began as a small, private studio that has expanded into a 2500 sq ft upscale tattoo and art studio in historic Ivanhoe Village. Our location provides clients and artists a picturesque view of Orlando, with sweeping views of Lake Ivanhoe and Gaston Edward’s Park. In order to eliminate the distractions that are present in most tattoo shops, The East operates as a fully private, appointment-only tattoo and art studio during the week. Our privacy enhances your experience by allowing your artist to focus their attention entirely on you and your tattoo. With the expansion came an adjustment to our strict “Appointment-Only” policy. Friday, Saturday, and Sunday we open our doors and welcome walk-ins. Weekends are a great time to visit our studio, check out artist portfolios, meet with the artists (per availability), view our gallery, and shop our merchandise.